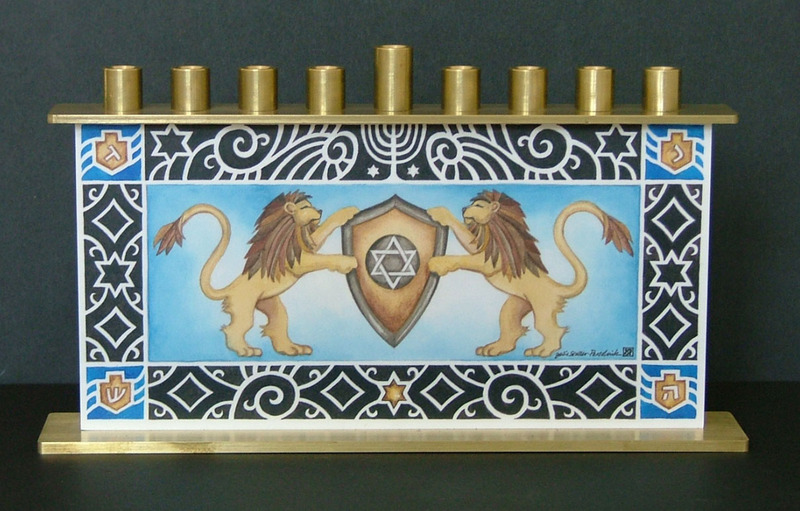 The Hanukkah menorah or chanukiah is a nine-branched candelabrum lit during the eight-day holiday of Hanukkah, as opposed to the seven-branched menorah used in the ancient Temple or as a symbol. 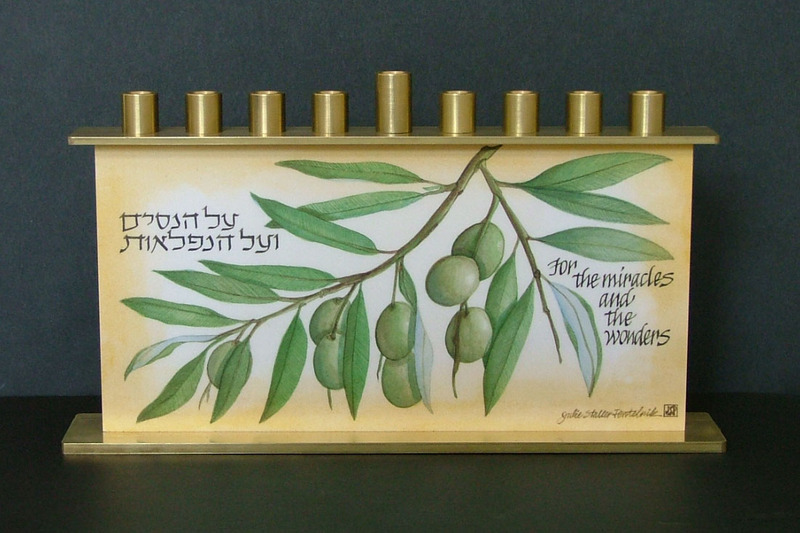 On each night of Hanukkah a new branch is lit. 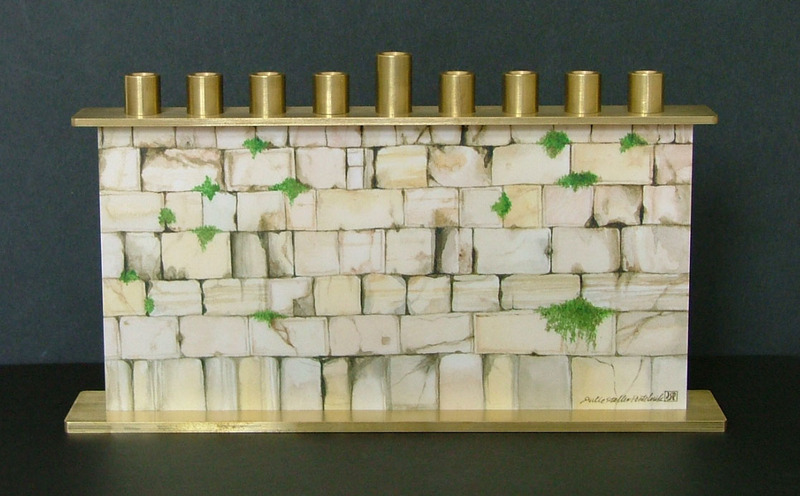 The ninth holder, called the shamash (“helper” or “servant”), is for a candle used to light all other candles and/or to be used as an extra light. 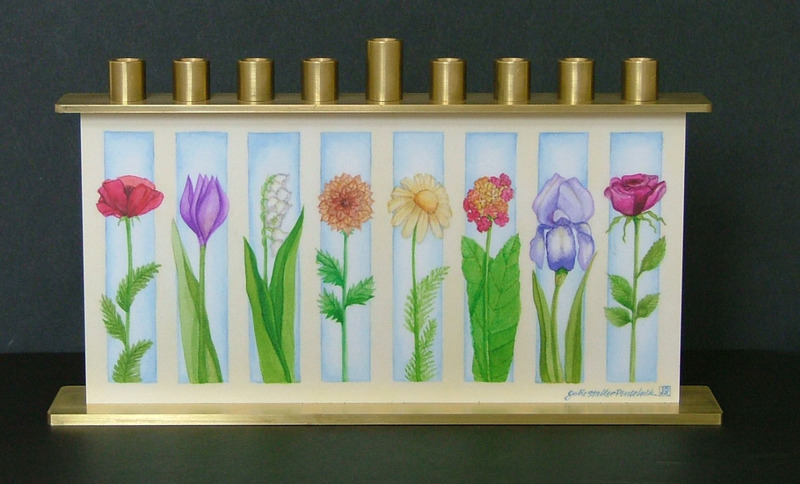 To be kosher the shamash must be offset on a higher or lower plane than the main eight candles or oil lamps.